From the 2015/16 season, Gustavo Gimeno has taken up the post as Music Director of the Orchestre Philharmonique du Luxembourg. In his second season, he continues this partnership with a focus on the great orchestral literature including Mahler Symphony No. 4, Beethoven Symphony No. 7, Ravel’s “Daphnis and Chloé”, Stravinsky’s “Sacre” and new commissions of Mark-Anthony Turnage and Francisco Coll. A recording partnership with Pentatone will also be further realised. 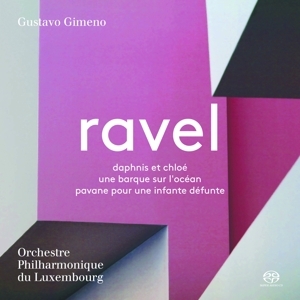 Aside from his Music Director commitments in Luxembourg, Gustavo Gimeno has collaborated with a select list of orchestras including Munich Philharmonic, Cleveland Orchestra, City of Birmingham Symphony Orchestra, Orchestre National de France, Rotterdam Philharmonic, and the Philharmonia Zurich. In 2015, Gimeno led the Royal Concertgebouw Orchestra on tour to Asia. In 2016/17 season, Gimeno will make his debut with the Boston Symphony Orchestra, the Chicago Symphony Orchestra, the National Symphony Orchestra in Washington, D.C. and the Orchestra of the Academy of Santa Cecilia. He will also appear in Vienna twice that season, with the OPL at the Wiener Konzerthaus and with Vienna Symphony at the Musikverein. Many of the works that have been at the centre of Gustavo Gimeno’s programme planning in Luxembourg are also the focus for future concerts: Bruckner Symphony No. 1 on return to the Munich Philharmonic, Schumann Symphony No. 1 with the Royal Concertgebouw and City of Birmingham Symphony Orchestra, Mahler Symphony No. 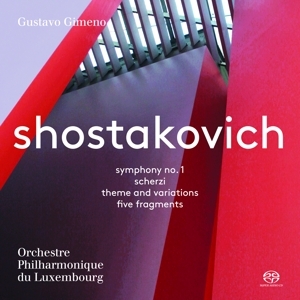 1 with the Philharmonia Orchestra at the Royal Festival Hall in London and Shostakovich Symphony No. 1 with the Sydney Symphony Orchestra. In 2015, Gustavo Gimeno gave his opera debut conducting Bellini’s “Norma” at the Opera House in Valencia. In March 2017, he will conduct his first opera production, Verdi’s “Simon Boccanegra”, in Luxembourg. Born in Valencia, Gustavo Gimeno began his international conducting career in 2012, when at that time he was a member of the Royal Concertgebouw Orchestra Amsterdam, as an assistant to Mariss Jansons. Significant experience was also harnessed in assisting Bernard Haitink and Claudio Abbado, with whom he forged an intense and influential mentorship.